YES, not a recording, but live-streaming to the whole world, in Virtual Reality. For the first time ever, and directly from inside the surgical theater, at Royal London Hospital, in the UK. In this particular case, 360 degree filming of a real operation, in real time, as it was happening! Just think of going inside any situation, anywhere, anytime and be able to virtually interact with the environment and the individuals remotely present in that scenario, in real time, in a synchronous way. At Medical Realities, we just did it. My partner and colleague, Dr. Shafi Ahmad, did a Minimally Invasive (Laparoscopic) surgery to remove part of the large bowel in a patient with cancer. 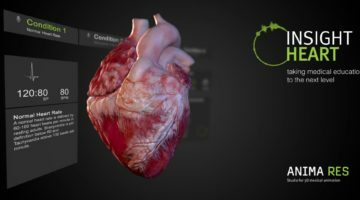 The whole procedure was streamed in VR, so anyone with connectivity, the free VRinOR app, a VR viewer and the desire and curiosity to learn, was able to be there, inside the operating room, watching and listening, looking around as if physically present. About 100,000 people from all over the globe tuned in, to be witnesses of this giant step in transforming and democratizing medical education. Bringing you inside the operating theater (virtually), no matter where your physical location was. Using the technology from Mativision, thousands of people did indeed joined the live operation, watching, learning and interacting via real-time video and audio. The Ultimate Medical Education experience! This was the set up before the start time. Ready for lift-up! And close by, and all across the globe, people sat down and waited for the surgery to begin. No need to travel, no need to wear scrubs, a hat, a mask nor even wash your hands… just get your viewer or screen and be ready to witness a giant step for education and global surgery training. 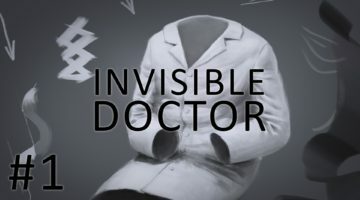 Imagine the potential of this platform to facilitate access to expert medical care, no matter location, without the need to physically travel, without the expense of time nor money. You could be a student or medical provider looking for state-of-the-art information or tips, to improve your practice of medicine, to allow you to be or become a better doctor. The potential and the opportunity are priceless. We even had some physical visitors. Dr. Daniel Kraft ,our mentor and friend from Singularity University / Exponential Medicine was lucky enough to watch the event from within; but he was not lucky enough to be drinking a double espresso while doing that (like I was, back in the USA), or the OR charge nurse would have thrown him out of there. There’s an amazing potential for this technology (or the smart application of this technology!) to disrupt the healthcare & education industry, along with impacting Global Healthcare. There’s close to 5 Billion people who don’t have access to surgical and anesthesia care in this world of ours, just because there are not enough of us to cover the increasing demand. By connecting surgical providers to colleagues in need, anywhere in the world where there’s a need, via #VRinOR, we can certainly breach the gap. We can positively impact the level of communication and interaction between the expert and the novice, between the one with the question or the doubt, and the one with the right answer or the reinforcing advice. 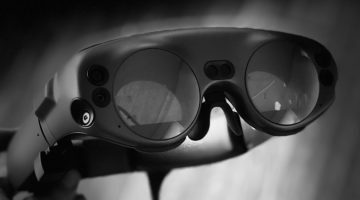 It is not about Virtual Reality, or about 360 degree video streaming… It is not about Streaming the first live operation via GoogleGlass or thru VRinOR. Yes, the gadgets are fascinating. From Google Glass and AtheerAir to Oculus Rift…from a landline to the latest iPhone, devices evolve exponentially. But again, it is not about the technology.It is about the smart application of that technology to make our world a nicer one, to allow those forgotten, bilions of patients to get the best care that they ought to be receiving in this current age of awe and marvelous progress. Walk along us, at Medical realities, and make this planet a better place to live in.